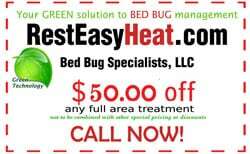 We'll Eliminate Your Bed Bug Infestation! We provide what no other Bed Bug Remediation company in your area can, an independent unbiased inspection with up to 97% accuracy on the scent of live bed bugs and viable bedbug eggs. Our only interest is helping and assisting you to solve your bedbug problem. Treatment Time May Vary Depending On Job Requirements. We understand that having bed bugs in your home is one of the most unsettling problems someone can have. From our experience, most homeowners that have bed bugs DO NOT have severe infestations, rather normal situations. By quickly identifying the infected rooms, we can discuss the findings with you and then discuss the next step to eliminating your current bedbug problem. We can provide you with the perfect method of remedial services to fit your budget. We assess the situation, locate the bugs and give you the service you need. Don’t hesitate to use one of the leading bed bug detection and remediation companies in New Jersey. 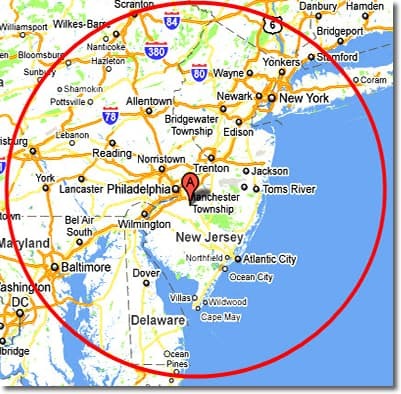 We service New Jersey, Delaware, Pennsylvania and Maryland. If you wake up in the morning with tiny, itchy bites on your body there is a chance that you have bed bugs. Although not every bite mark is from bed bugs, you can make a few visual inspections of their most common hiding spaces. If you see bed bugs on or near your bedding or furniture, or suspect that you have been bitten by a bed bug, you should have your entire home inspected by a qualified professional. If you are unsure of a bed bug presence, we offer trained K-9 bed bug inspections to determine the extent of the infestation. 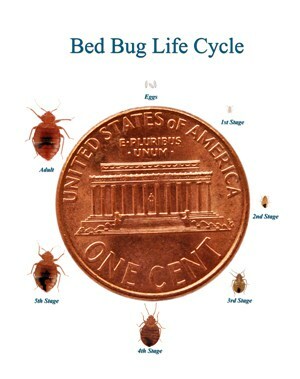 Did you know that 1 pregnant bed bug can become an infestation of over 13,000 bed bugs in just 6 months? Up to 70% bed bug infestations go unreported. Contact Rest Easy Heat and have your home checked today! Typical treatment is only 7-10 hours, at which time you may occupy the dwelling again, without fear of chemical residual.